The Vodia PBX customer-premises-equipment (CPE) licenses are available in different editions, based on how many simultaneous calls you need. Vodia has you covered with two licensing options: an annual subscription or a permanent license. Subscriptions are a convenient way to license the PBX without upfront investments. Permanent licenses are suitable for customers that want the safety of a paid license; they can be combined with subscriptions for receiving software updates beyond the first year. 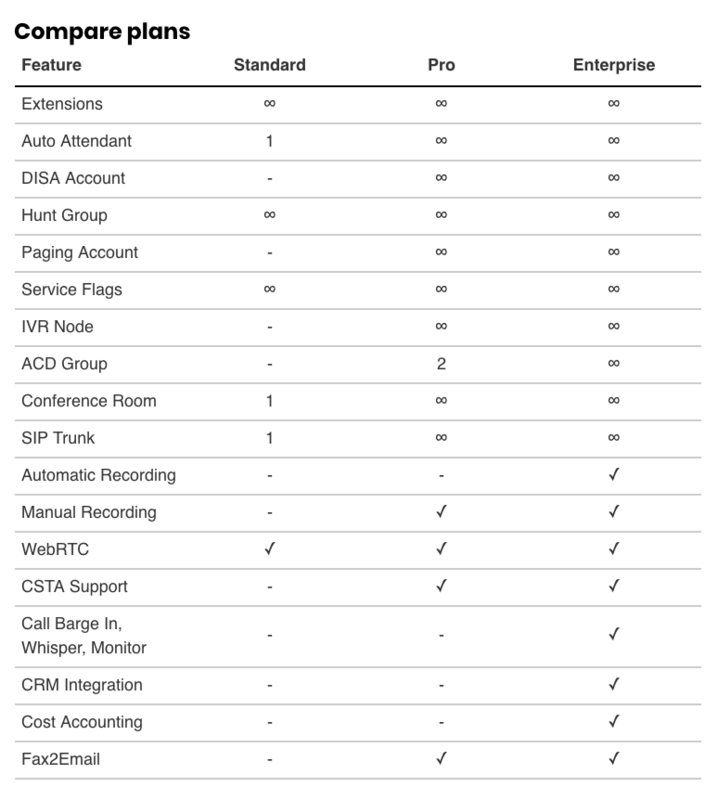 The Vodia PBX comes in three versions: standard (entry-level), pro (mid-tier), and enterprise (fully loaded). 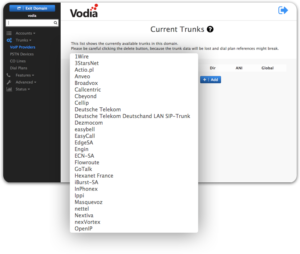 With Vodia, you are not locked into one particular SIP trunk provider or SIP phone manufacturer. Choose the SIP trunk carrier that you want to work with. 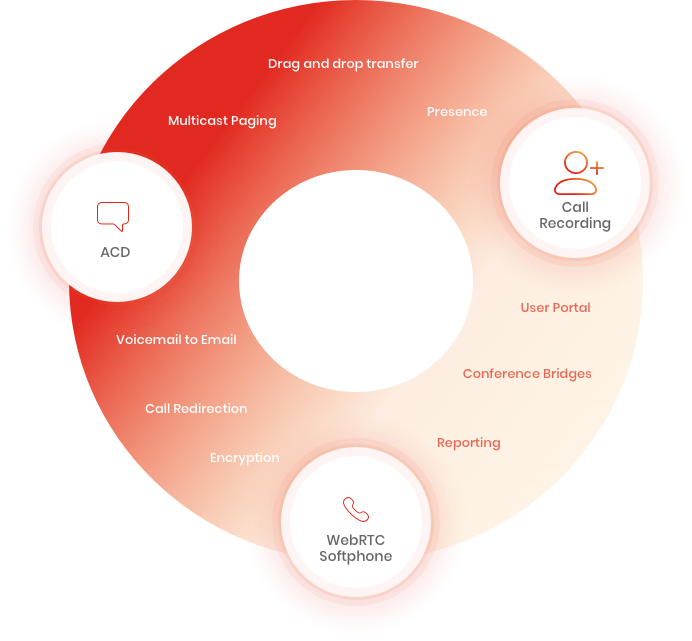 If the provider is not already on Vodia’s extensive list of approved providers, Vodia will interop with the company to ensure it works cleanly with the PBX. Additionally, choose the SIP phones you love and want to use on your system. Use one phone brand or mix multiple brands on the system. 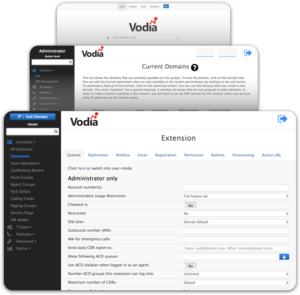 Vodia works flawlessly with some of 888VoIP’s top partners, including Polycom, Yealink, and Cisco. With three levels of administrative control, you can completely manage the entire platform. User Portal: Give all users access to the User Portal so they can make and receive calls using the WebRTC. Depending on their permissions, users are able to edit their own preferences including cell phone twinning, voicemail settings, email notifications, and more! Domain Admin: Your Domain Admin can control a particular domain and edit all the settings within that one domain. Administration Domain: The administration has control over the entire system and all of the domains with the ability to edit global settings for trunks, dial plans, and more. DIDs and ANIs for inbound and outbound call identification. Stay up-to-date on all the latest Vodia products, tutorials, and news.